The new regulation has forced some teams to rethink the past season aerodynamic macro concepts of the cars. 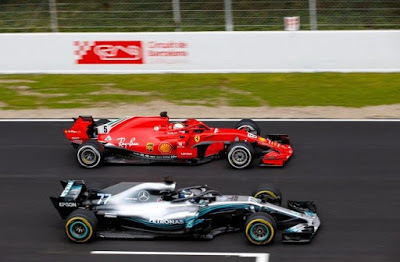 Among those who will not have to make major changes to his aerodynamic platform there’s certainly Mercedes, which for several seasons had already focused his project on a long wheelbase and a “low rake” (for more information click here). These are solutions that should be perfectly in line with the 2019 technical regulation. 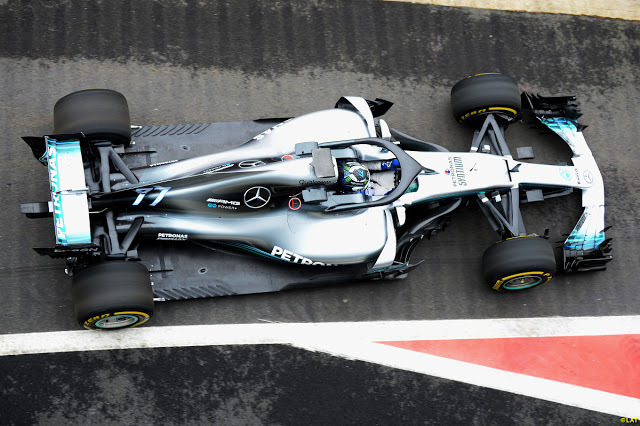 The Mercedes W10 will keep the same wheelbase of the W09, being a clear evolution of the car witch allowed the Brackley team to win the constructors and drivers world champion. Despite the use of a larger tank (+5 kg compared to 2018) the German engineers have managed to maintain the same wheelbase, which for the last two seasons it is the longest of the Circus. It’s interesting to remember that, although it is not the case with Mercedes, the lengthening of many 2019 cars wheelbase will not be a consequence of the increase in size of the petrol tank, but only an adaptation to the new aerodynamic rules that prefer a macro aerodynamic concept. Something that Mercedes does not need. The nose will maintain the same very tight philosophy seen on two last Mercedes cars (W08-W09). It means that will allow the German team to bring a greater airflow externally to the front wing pylons. We are talking about a more complicated road. For this reason in recent last seasons no one has managed to replicate this solution. It is certainly easier to bring air into the T-Tray area, and driving it through the inside of the front wing pylons, or even a studied channels as in the case of Force India or McLaren. The only one who have tried it (Toro Rosso), has immediately taken a step back by returning to a more classic nose specification. 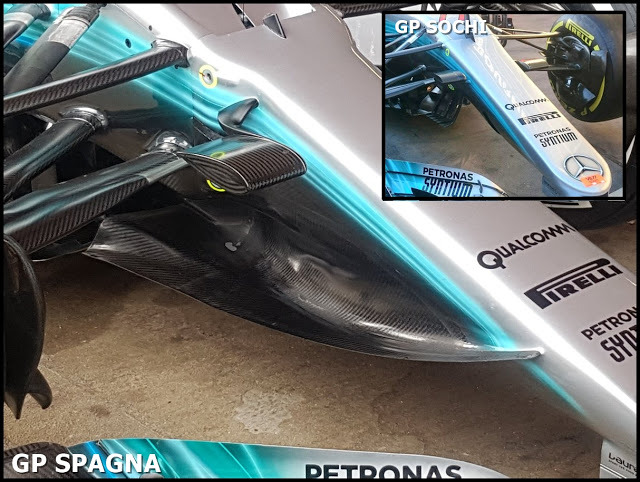 Taking a look to the simplified front wing, Mercedes is working hard on important developments in the “fangs" area that were introduced during the 2017 Spanish Grand Prix weekend, to replace the canons turning vanes. This is not a very constrained area by the 2019 technical regulation, for this reason the designers imagination could be very important in the car air flow management. It’s worth remembering that the upper flaps will disappear in the 2019 wing spec, as well the now famous external tunnel and the various internal and external profiles to the endplates. The wing cannot have more than five distinct elements, and the endplates accentuated arched shapes it cannot exceed 15°. Beyond that, the maximum number of flow conditioners to be placed below the wing will be in the number of two. 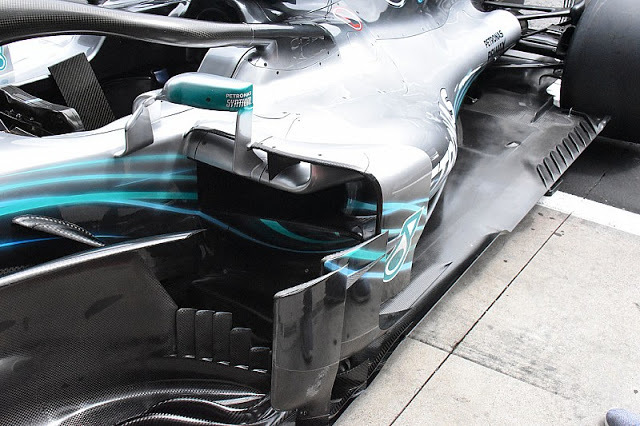 The work undertaken last season in the sidepost area will continue, with the aim of further miniaturizing the cooling vents radiators and to make it leaner compared to the W09. The German team will use a "classic" anti-intrusion cones position, and will not replicate the 2017 Ferrari idea then copied by many other teams including Red Bull. 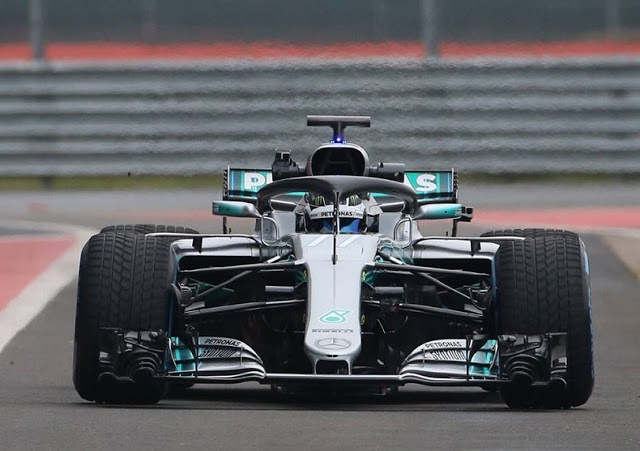 However, they should not mislead the images shown by Mercedes's Instagram account during the Christmas holidays, where Brackley technicians were showing Hamilton and Bottas in what was seen by many as the body of the new car; in reality, the two pilots were just trying some accessories inside the 2018 body (W09). At the mechanical level there will be no big news but only some adaptations in terms of geometry and suspension mechanisms, confirming front and rear hydraulic version that in the last season have created some tires usage problems then reduced in the second part of the championship. 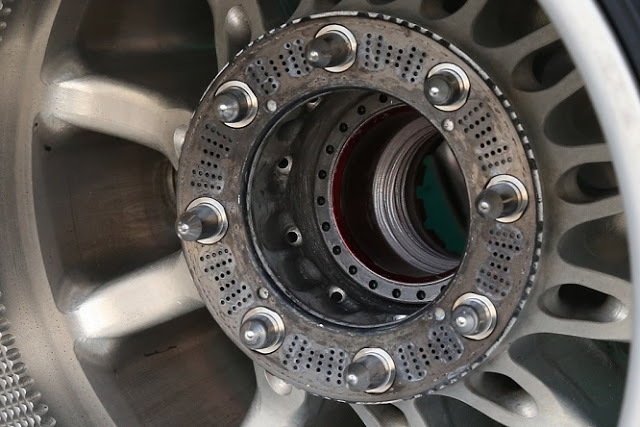 For sure, Mercedes will continue to use the wheel hub design. Indeed the FIA didn’t forbid this solution during the winter tests, although it has not yet dedicated a regulation point about. 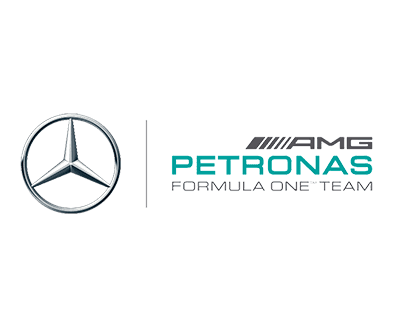 Mercedes began working during the last year summer months on power unit, to try to recover the power gap that separates it from Ferrari, especially in the qualifying configuration. Many conceptual innovations to the Power Unit are expected even if, talking to people close to the German team, Cowell and his staff don’t believe they can count at the beginning of the championship with a strong engine, that can have the same level as the Italian sister. 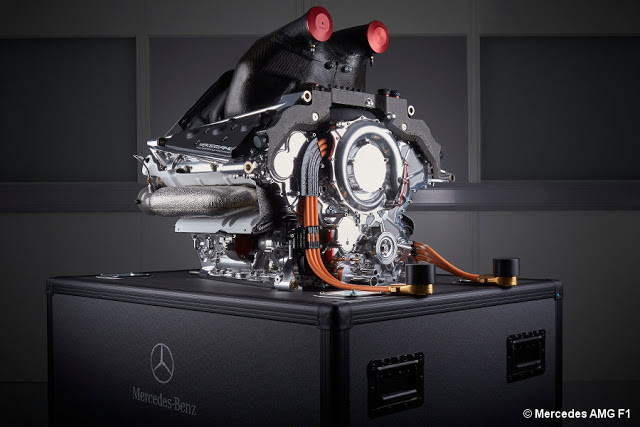 A Power Unit gap that Mercedes hopes to fill with the mechanical and chassis goodness of the car. We'll see in Australia. Talking about the presentation day there is still no official date, because a decision has not yet been made. 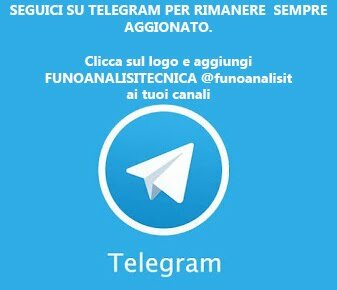 From the information gathered by FUnoAnalisiTecnica it is however unlikely that there will be a contemporary presentation of Ferrari and Mercedes. The new Bottas and Hamilton’s “beast” should be unveiled a couple of days before Maranello’s car (February 13 or 14).